Autonomous Vehicles are cars or trucks in which human drivers are not required to control or safely operate the vehicle. 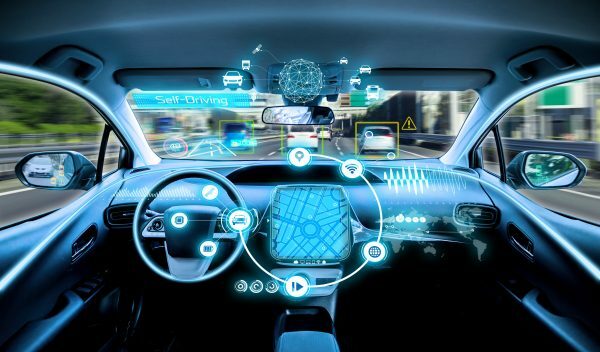 Also known as Self-driving or “driver-less” cars, they combine sensors and software to control, navigate, and drive the vehicle.Though still in its infancy, self-driving technology is becoming could transform our transportation system (and by extension, our economy and society). Various self-driving technologies are being developed. Almost all major Technology and Automotive giants are working to find the edge in what is being judged as the future of Transportation. 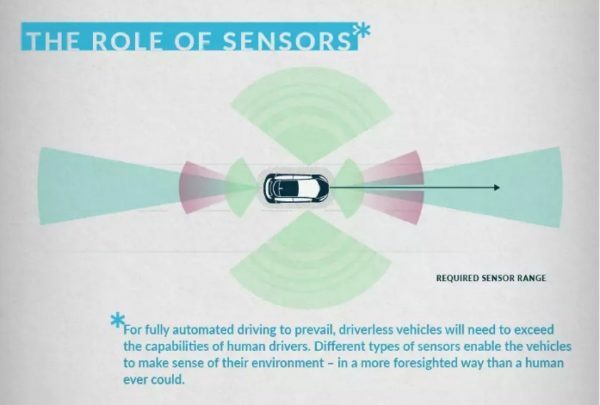 Though design and details vary, most self-driving systems work on similar technology concepts. Google, Uber, Tesla, Nissan, and other major automakers, researchers, and technology companies are driving innovations in this area. In general terms, Autonomous Vehicles maintain an internal map of their surroundings, based on a wide array of sensors, like Radar and Lidar. 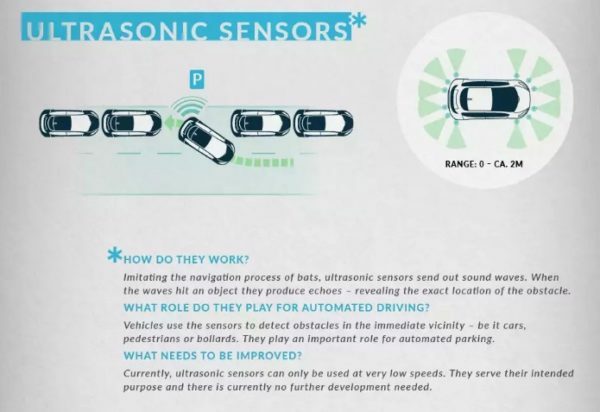 Uber’s self-driving prototypes use sixty-four laser beams, along with other sensors, to construct their internal map; Google’s prototypes have, at various stages, used lasers, radar, high-powered cameras, and sonar. Software then processes those inputs, plots a path, and sends instructions to the vehicle’s “actuators,” which control acceleration, braking, and steering. Hard-coded rules, obstacle avoidance algorithms, predictive modeling, and “smart” object discrimination (ie, knowing the difference between a bicycle and a motorcycle) help the software follow traffic rules and navigate obstacles. Partially-autonomous vehicles may require a human driver to intervene if the system encounters uncertainty; fully-autonomous vehicles may not even offer a steering wheel.Self-driving cars can be further distinguished as being “connected” or not, indicating whether they can communicate with other vehicles and/or infrastructure, such as next generation traffic lights. For a fully Automated driving to prevail, driverless vehicles will need to exceed the capabilities of Human Drivers. Different types of sensors of their environment – in a more foresighted way than a human ever could. Ultrasonic Sensors – Imitating the navigation process of Bats, Ultrasonic sensors trigger sound waves. When these waves hit an object they produce echoes revealing the location of the Obstacle. Autonomous vehicles use these sensors to detect obstacles in the immediate vicinity be it other vehicles, pedestrians or bollards. They play a critical role in automated parking. 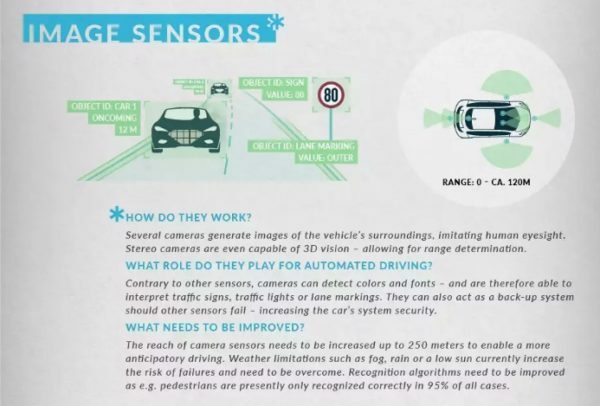 Image Sensors – High Density cameras generate images of the vehicle’s surroundings, imitating human sight. These high density camera’s are also capable of 3D Vision which allows determination of the Range. Contrary to other sensors, these camera’s can detect colors and fonts and therefore, able to interpret Traffic Signs, Traffic Lights or Lane Markings. They also act as backup systems, should any of the Sensors fail increasing the vehicles system security. Radar Sensors – Known primarily for its use in navigation systems for Ships and Planes, Radio Detection and Ranging systems send out electromagnetic waves. If these waves hit an obstacle, the waves are reflected revealing the distance and speed of the approaching object. 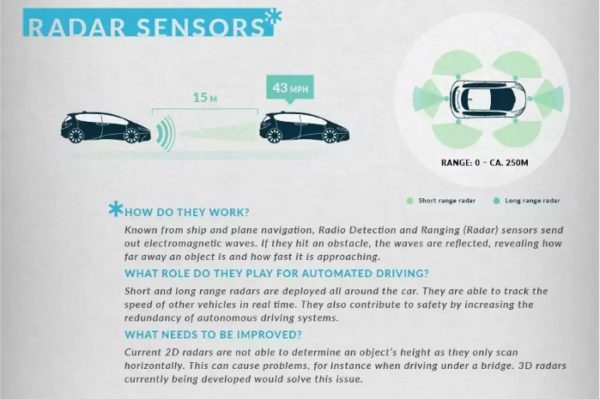 Short and Long Range radars are deployed all around the Autonomous Vehicle. This allows the vehicle to track the nearby vehicles speed and distance real-time. They also contribute to the safety of the vehicle by increasing the redundancy of the Autonomous Driving Systems. 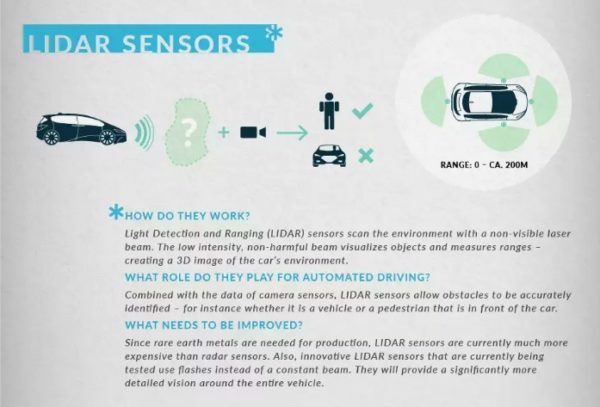 Lidar Sensors – Light Detection and Ranging (Lidar) sensors scan the environment with a non-visible laser beam. The low intensity, non-harmful beam visualizes objects and measures ranges creating a 3D Image of the Car’s Environment. Combined the data from the Camera’s these LIDAR sensors allow obstacles to be accurately identified – Ex: a Moving Vehicle or a Pedestrian in the direction of the Vehicle. 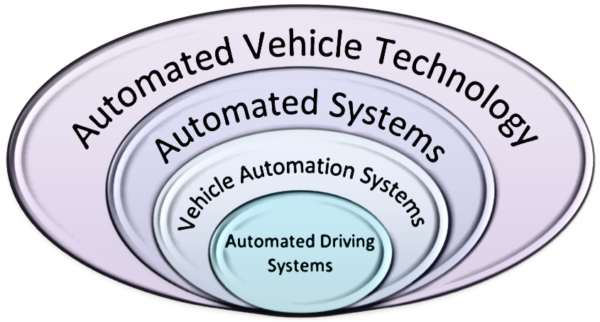 The automated driving system is generally an integrated package of individual automated systems operating in concert. Automated driving implies that humans as driver have giving up the ability to drive (i.e., all appropriate monitoring, agency, and action functions) to the vehicle automation system. Even though the driver may be alert and ready to take action at any moment, giving up the ability to the integrated automation system is still the core concept. Automated driving systems are often conditional, which implies that the automation system is capable of automated driving, but not for all conditions encountered in the course of normal operation. Therefore, a human is functionally required to initiate the automated driving system, and may or may not do so when driving conditions are within the capability of the system. When the vehicle automation system has assumed all driving functions, the human is no longer driving the vehicle but continues to assume responsibility for the vehicle’s performance as the vehicle operator. The automated vehicle operator is not functionally required to actively monitor the vehicle’s performance while the automation system is engaged, but the operator resume driving within several seconds of being prompted to do so, as the system has limited conditions of automation. While the automated driving system is engaged, certain conditions may prevent real-time human input, but for no more than a few seconds. When the operator has resumed all driving functions, he or she re-assumes the status of the vehicle’s driver. Level 0 – No automation: The driver is in complete control of the vehicle and the system does not interfere with driving. Systems that may fall into this category are forward collision warning systems and lane departure warning systems. 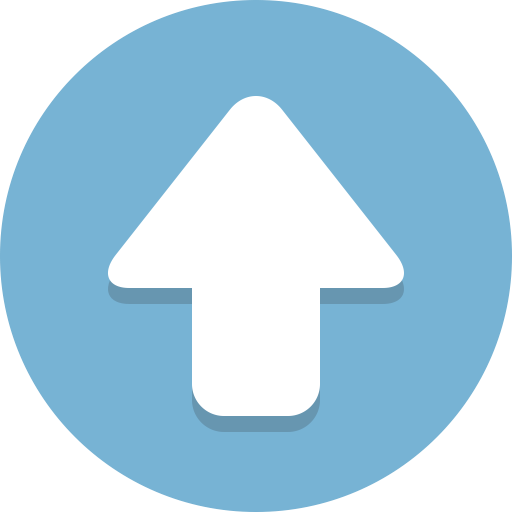 Level 1 – Driver Assistance: The driver is in control of the vehicle, but the system can modify the speed and steering direction of the vehicle. Systems that may fall into this category are adaptive cruise control and lane keep assist. Level 2 – Partial Automation: The driver must be able to control the vehicle if corrections are needed, but the driver is no longer in control of the speed and steering of the vehicle. Parking assistance is an example of a system that falls into this category along with Tesla’s autopilot feature. A system that falls into this category is the DISTRONIC PLUS system created by Mercedes-Benz. It is important to note the driver must not be distracted in Level 0 to Level 2 modes. Level 3 – Conditional Automation: The system is in complete control of vehicle functions such as speed, steering, and monitoring the environment under specific conditions. A driver must be ready to intervene, when requested by the system to do so. If the driver does not respond, an accident may happen. Hence, the driver is only allowed to be partially distracted, such as checking text messages, but taking a nap is not allowed. Level 4 – High Automation: The system is in complete control of the vehicle and human presence is no longer needed, but its applications are limited to specific conditions. An example of a system that falls into this category is the Google car. If the actual motoring condition exceeds the performance boundaries, the system does not necessarily have to ask the human to intervene. It could choose to stop the car in a safe manner. Level 5 – Full Automation: The system is in complete control of the vehicle and human presence is no longer needed. The system is capable of providing the same aspects of a level 4, but the system can operate in all driving conditions. The human is equivalent to “cargo” in Level 5. Currently, there are no driving systems at this level. The costs and benefits of self-driving cars are still largely hypothetical. More information is needed to fully assess how they’ll impact drivers, the economy, equity, and environmental and public health. Safety is an overarching concern. Many thousands of people die in motor vehicle crashes every year in the United States (more than 30,000 in 2015); self-driving vehicles could, hypothetically, reduce that number—software could prove to be less error-prone than humans—but cyber security is still a chief concern. Equity is another major consideration. Self-driving technology could help mobilize individuals who are unable to drive themselves, such as the elderly or disabled. 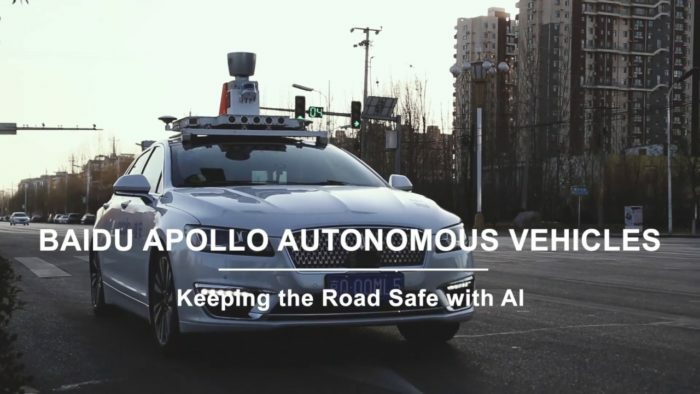 But the widespread adoption of autonomous vehicles could also displace millions of Americans employed as drivers, negatively impact public transportation funding, and perpetuate the current transportation system’s injustices. Environmental impacts are a serious concern, and a major uncertainty. Accessible, affordable, and convenient self-driving cars could increase the total number of miles driven each year. If those vehicles are powered by gasoline, then transportation-related climate emissions could skyrocket. If, however, the vehicles are electrified—and paired with a clean electricity grid—then transportation emissions could drop, perhaps significantly. To the extent that electrified self-driving cars enable more shared rides (for example, through services such as Lyft or Uber), emissions could drop even further. The Union of Concerned Scientists has worked on transportation-related policy issues for decades, and advocates for equitable, low-pollution vehicles, fuels, and infrastructure. In February 2017 we released a policy brief that outlines the challenges and benefits of self-driving technology, and that includes seven principles for policy makers, companies, and other stakeholders to use as guides. Autonomous vehicle or driver-less car or self-driving car and supporting technology market is expected to be grow tremendously in the coming decades. Currently, many major players are contributing in the development of semi-autonomous and fully autonomous vehicles. Since, 1980s companies are working on various prototype to make the autonomous vehicle a reality. According to a study conducted by AT Kearney and Boston Consulting Group. 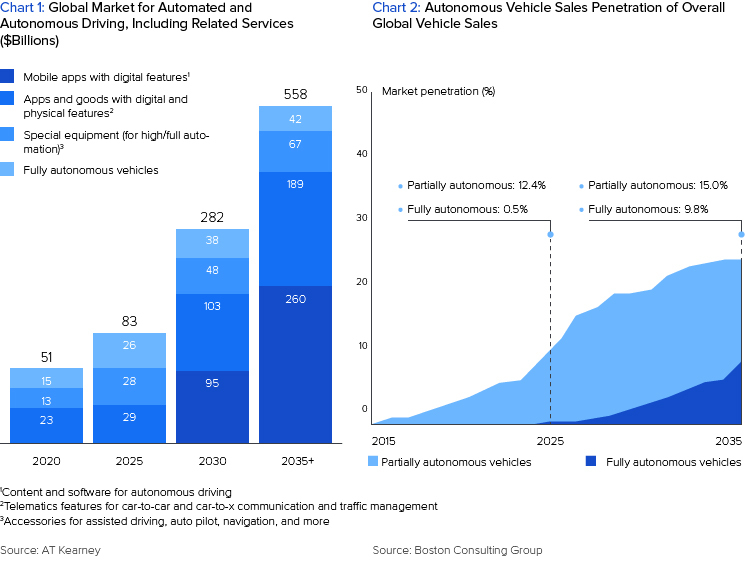 Autonomous Vehicles market is expected to be US $85 billion by the end of forecast period (2025) and expected to reach US $550 billion by 2035. Currently all the prototypes are being tested in the R&D centers of various automobile company, universities and expected to launch the autonomous vehicles by 2020. In conclusion, addressing the mechanics of the Autonomous Vehicles as well as its benefits and potential issues, it is quite interesting to see how the world will actually become by the year 2040. It is without any doubt that Autonomous Vehicles offer a huge potential but it also has a plethora of real life challenges which needs to be solved including creation or availability of an environment which fully supports such a system. Until then, It is truly in the reader’s discretion to determine and weigh the impacts that the Autonomous Vehicles will have on society in the future. It is also fascinating to see the effects this creation will have on the countries in which it is legalized as well as on the people that have chosen to experiment with it. My brother recommended I may like this website. He was once totally right. This post actually made my day. You can’t consider just how so much time I had spent for this info! Thanks!